The theme for my birthday last week was red, black, and creepy! So what if you aren't 12 anymore? So what if you're closer to three times that age? It doesn't mean you can't have a themed birthday. In fact, birthday themes only get better when you're older. For one thing, you don't have to eat off flimsy paper plates covered in cartoon characters. It's also the perfect excuse to decorate your space exactly how you wish. It can be elegant or kitsch, wonderful or weird or the perfect combination of all four. It's up to you. Check out some ideas and tips for making this year's birthday extra special after the jump. It doesn't have to be elaborate. If space is limited or you just don't feel like putting in a lot of effort, confine your decorating to one area like the kitchen table. It'll still be fun without all the hassle. Try mixing themes to make it unique. Mashups are a great way to show off two of your favorite interests. Try combining ideas like zombies and tiki parties for a unique way to incorporate multiple geeky loves. Use a visually rich scene from a favorite movie for inspiration. Movies, especially children's fantasy films, are a great source of inspiration. 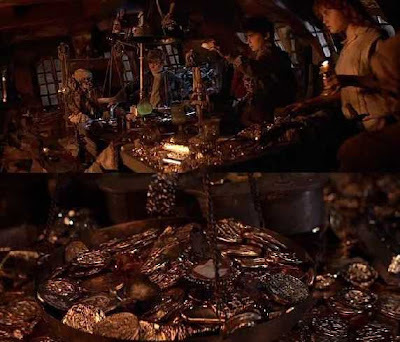 Use a single shot like One-Eyed Willie's riches from The Goonies as a guide. All you need to recreate a scene like this would be plastic gold coins from the toy aisle or a party store, candles, and a skull with an eye patch. Use items not usually thought of as decorations. 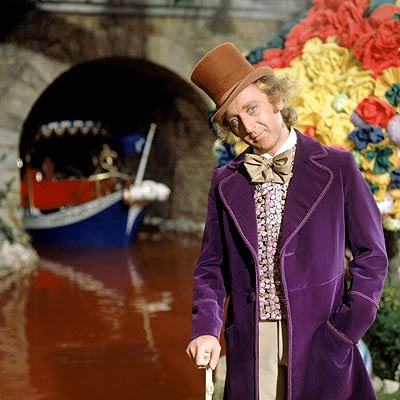 Pure imagination is the key when decorating. Try using candy to other thematic pieces that aren't usually considered decorations to set the mood. A bowl for red jelly beans and another for blue would be great for a Matrix themed birthday. Incorporate what you have on hand. You probably have a number of items on hand that would be perfect for your chosen theme. 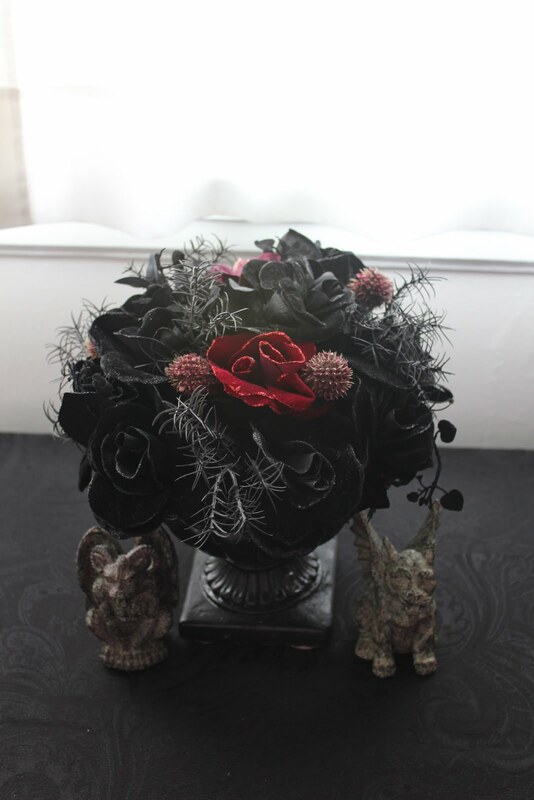 I raided the Christmas, Halloween and Valentine's decorations for my red, black, and creepy one. 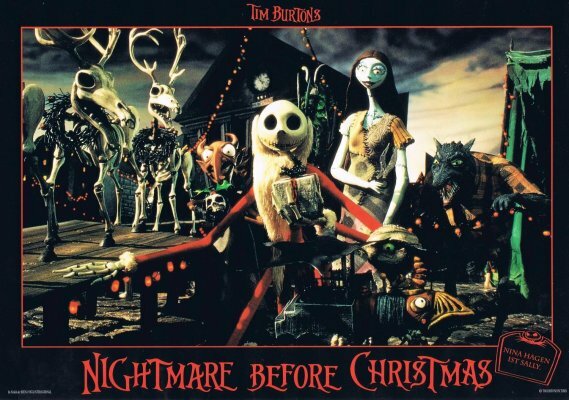 The Nightmare Before Christmas is a perfect example of a theme that would require little if any new items. Second-hand shops are a great resource. 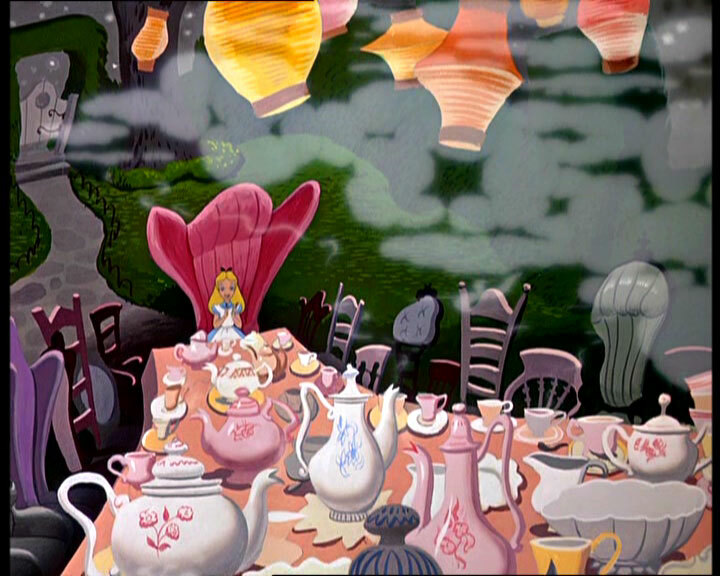 If you're going with an elaborate theme like the tea party in Alice in Wonderland, consider going to a second-hand shop to find items like a large quantity of mismatched china. It doesn't need to be a strict interpretation. 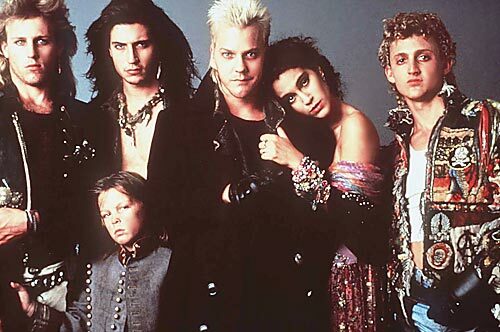 Some sources of inspiration, like The Lost Boys, can be difficult to bring to life. Instead use something else from the movie, like a location, for ideas. Use light strings, framed photos of rides and creepy attractions and empty popcorn boxes to achieve the feel from the Boardwalk scenes. Another option would be to line the walls with comic books in sleeves to recreate the store where Sam meets the Frog Brothers. Craft stores are another great resource. A number of awesome looks can be achieved by large swatches of fabric, something readily available at craft stores. Tack rich fabrics to walls or drape in swags to get the look of Inara's shuttle. Using fabric with bold black and white stripes would be perfect when recreating almost any Tim Burton movie. Have any tips or want to share your dream theme for your next birthday? Post 'em in the comments! My birthday is 2 weeks before Halloween. I have had MANY Halloween birthday parties. And am thinking I will do it again this year. You've got to help me go all out for Lucy's next bday! My wedding colors were red and black too! Nara, you're going to have to take photos and share! Sophie, you know I want to! We could do a Dr. Seuss theme! Amazing pictures in this post.This pictures shows expertness in your work.Thanks for sharing your beautiful art work with us. Thanks author for your sharing!!!! !